It feels tragic, because it is. 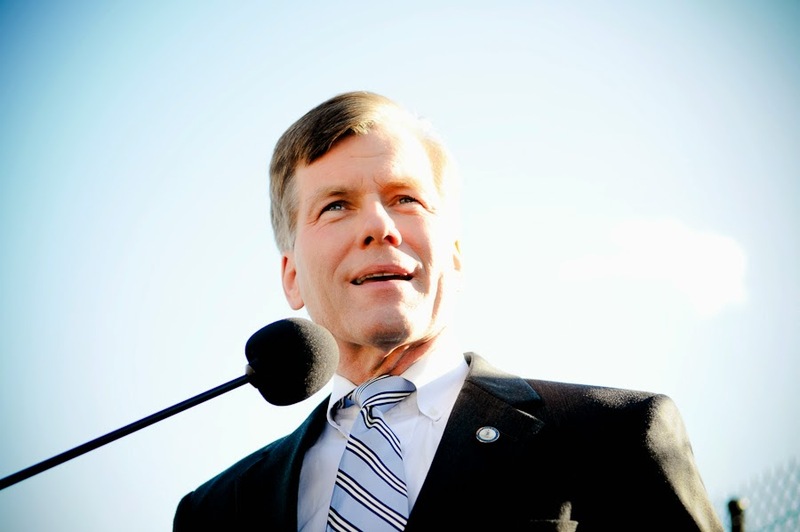 As the trial of Virginia governor Bob McDonnell came to its difficult conclusion, it'd be easy to gloat. Here, a notoriously straight-laced and upright conservative, brought down in a major corruption scandal. There was intrigue and inside-dealing, Ferraris and cash under the table, the sausage works of a marriage and some amazingly unwise decisions, and now jail time is in the cards. I don't agree with most of McDonnell's politics. As a Virginian, I didn't vote for him. But he was not a terrible governor, not if I'm honest. He was generally prudent, and for all the leftist hullabaloo about how he was basically a well-shaved Talib, he proved surprisingly fair and even-minded. Seeing him brought down gives me no pleasure. He was no skeeving, shamelessly corrupt Blago, not at all. When the verdict was delivered, and his daughter sobbed, McDonnell wept because he was an honorable man who had brought shame on himself and his family. It's heartbreaking. Was he guilty? Was his wife guilty? Well, yes. Yes they were. But he and his wife had wandered into a trap, a trap that was not of their making. What was that trap? For that, I look to my own profession. Pastors are leaders, after all. Like the governor of my state, we're also marginally paid relative to our workload, outside of one or two unrepresentative outliers. So it must be. But as visible leaders with influence within our small communities, we're often the recipients of favors. We get gifts, cards, and presents, often after we've worked someone through a difficult time in their life. I've always struggled with those gifts, when they've come. A Christmas present? What? But...I didn't get you anything. I have learned, though, to accept those gifts--up to a point--as a part of my position. They're just grace notes, heartfelt and well intended. The danger comes when those gifts start having strings attached. There's the invitation to the beach house, which of course assumes that you'll push for a pet project at the church. There's the brand new car, which assumes that you're pretty much in that parishioner's pocket for the rest of your born days. There, pastors have to be remarkably careful, and self-aware. Is this influencing me? Does this seem like a genuine token of thanks, or does it have a hook embedded in it? The bigger the gift, the more likely there's a hook in there somewhere. We're often responsible for raising funds, too, to both pay our salaries and keep the institution of the church from collapsing. That can lead us to spend considerably more time and energy cultivating and connecting to the wealthy members of our community. They become our focus, the people we go to with the intent of impressing upon them how simply wonderful they are, how very spiritual, and how very very much Jesus appreciates their generosity. They are given more access, and then more influence, and then more access. They become more important to us than the homeless stranger, or the members who scramble to get by. This is when churches become woven up in the power dynamics of human wealth. And when a member is given precedence because of their wealth, the church has failed. What is true for the church is also true for our republic. That's the trap that the McDonnells were snared in, because the truth of it is that they were simply doing a version of what every politician does in our money-hungry political culture. They were returning favors to a money-bundler who'd crossed the blurry boundary between pouring cash into a person's campaign and pouring cash into the person the campaign supports. Conservative defenders of the McDonnells have been quick--perhaps too quick--to note that this is just how the political system works, particularly now that the Supreme Court has opened the spigot for unlimited campaign donations. This is a self-annihilating defense, though, because it surfaces the deepening reality of our political system. It is a system that increasingly favors the powerful, favors the wealthy, and gives them greater voice and influence than others. That is and has always been the measure of injustice and broken, self-dealing governance. The further we go down that path, the more our regular political practice will be inherently corrupt, and unbefitting the best intent of our republic.